Heart health is extremely important. There are many symptoms that may seem unrelated to your heart and it’s well-being that you shouldn’t ignore. Men and women experience heart disease very differently. Pain, a persistent cough and even flu like symptoms could be indicators of a very serious condition. What does the heart do for the body? Your heart is arguably the most important organ in the body, besides the brain. 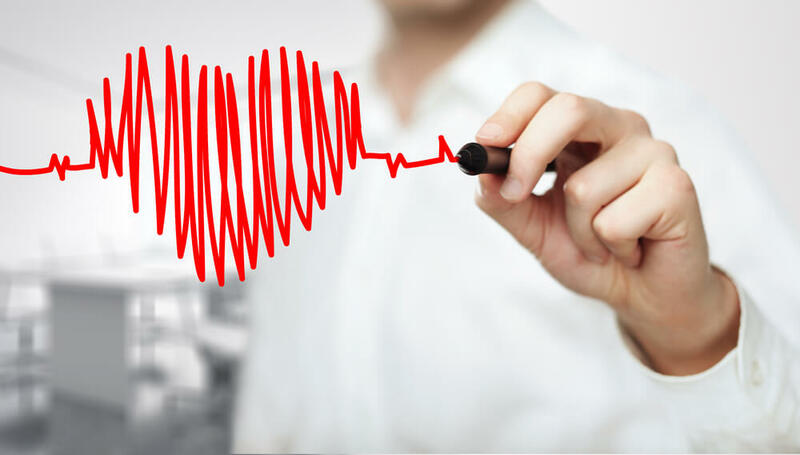 The heart pumps blood, which provides your body with the oxygen and nutrients it needs. It also carries away waste. Your heart is two pumps in one. The right side of your heart receives blood from the body and pumps it to the lungs. The left side of the heart receives blood from the lungs and sends it to the rest of the body. How do I know if I am at risk of heart disease? Having a medical insurance provider like Affinity Health is instrumental in being able to afford full check-ups, as well as the procedures that come with checking your heart health. You may need an EKG or Cardiogram, which can become quite costly. Any sort of discomfort, especially on the left side of your chest could be a sign that you’re in serious trouble. People who experience heart attacks usually complain of intense pain in the left side of their chest and I their left arm. Some people, especially women, experience serious heartburn as a sign of heart disease. According to an article by Lloyd’s Pharmacy unexpected symptoms related to heart problems are swollen feet, feeling lightheaded or dizzy at random times, or you’re sweating more than usual. If you experience any of these symptoms you should visit your doctor immediately. Uncontrolled diabetes can lead to the thickening of the arteries and restrict blood flow to the heart, Online Doctor explains. It’s not always easy to mitigate your risk of developing diabetes, as it’s often related to genetic factors. In the case of type 2 diabetes, however, you can reduce your risk of developing the disease by maintaining a healthy weight. Rapid or irregular heartbeats, extreme weakness, anxiety, or shortness of breath, discomfort radiating to the back, jaw, throat, or arm are all also signs of heart disease that shouldn’t be ignored. How do I keep my heart healthy? Salt has been linked to high cholesterol and heart disease. Avoid eating too much of it in your food and also avoid salty snacks like chips and salted nuts. Get your heart rate up by doing mild to high-intensity exercise. If you are not a fitness fanatic, even adding mild walks and physical activity to your schedule with help. Also, quit smoking and stay away from second-hand smoke. “Folks should get their heart rate up until they become somewhat breathless, but can still carry on a conversation,” says Susan Moores, RD, MS of the Academy of Nutrition and Dietetics. Whole grains help lower cholesterol and blood pressure and may help prevent type 2 diabetes. Think of corn tortillas, whole wheat pancakes and pasta, bulgur wheat, oatmeal, quinoa and chewy, delicious brown rice or wild rice. Take a holistic approach to your health and your mental well-being by eating healthy, exercising and avoiding stress, which will help to preserve your heart and its health and well-being.